Albuquerque, N.M. (June 12, 2014) – Mucuna pruriens, an under recognized herb in western culture, brings hope to the booming, yet stigmatized, energy drink industry with the introduction of a new herbal supplement: Aquadopa. Aimed at stimulating focus, motivation and mood, Aquadopa was created by dopamine expert Dr. Andrew Hemmen and uses Mucuna Pruriens as a primary ingredient to deliver customers an experience beyond just energy. What is mucuna pruriens? Put simply, an herb native to tropical climates that is the only known naturally occurring source of levodopa, or L-dopa, a biochemical precursor for the brain hormone and neurotransmitter dopamine. Dopamine is the key brain chemical responsible for feelings of satisfaction, reward and motivation. 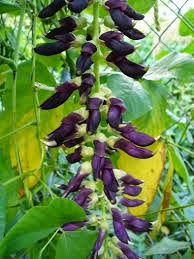 Practitioners of the ancient Hindu traditional medicine Ayurvedic have used mucuna pruriens for centuries for treatment of a variety of ailments, including Parkinson's disease. A 2003 study by researchers in England showed the natural L-dopa in mucuna pruriens may work faster than a synthetic version of L-dopa in the treatment of Parkinson's patients. Aquadopa is an herbal supplement beverage that provides numerous benefits from its main ingredient – mucuna pruriens, and its supplemental ingredients: ginkgo biloba, which increases blood flow to the brain; taurine, an amino acid that helps provide energy; and tyrosine, which is an amino acid that is a precursor to dopamine production. All of these combined helps the Aquadopa consumer have greater mental sharpness and enhanced creativity, greater motivation and focus, leaner muscle mass, increased libido and an overall increase in energy. "People are working harder and they're working longer. People are putting greater and greater demands on themselves. With all this repetitive stress and demand, it's no wonder we sometimes fall short. But when we feel rejuvenated, when we feel uplifted, strong and clear, that's when opportunities emerge. And from that vantage point, creativity can follow" said Dr. Hemmen, a board-certified internal medicine physician. "It's all about the vision, the focus and the execution, again and again. "I created Aquadopa as an herbal supplement to enhance the brain's dopamine system. I find dopamine as the most fascinating chemical in our brains. It enables our motivation and reward system. I believe it is dopamine that has driven humanity to the success it has achieved," Dr. Hemmen said. "It enables our executive functions. That means thinking into the future, seeing ahead, and then planning and acting on those plans to reach our goals." While there are pill versions of mucuna pruriens, Aquadopa is the first supplemental drink that has been built around a significant dose of mucuna pruriens and with "dopamine enhancement" as its primary function. Aquadopa is available at Sprouts Farmers Market or through Amazon.com. Aquadopa is an herbal supplement beverage that is a natural alternative to sugary energy drinks. It enhances mood, energy, motivation and creativity. Aquadopa is derived from the ancient Indian herb mucuna pruriens with tyrosine, ginkgo biloba and taurine. In 2011, Dr. Andrew Hemmen, board certified in internal medicine, became interested in the neurochemistry associated with motivation and success. He began to consider natural ways to support and enhance the motivation and reward system, based on natural herbs and amino acids. The concept of Aquadopa – to take people "beyond energy" – was born. For more information, go to www.aquadopa.com. These statements have not been evaluated by the Food and Drug Administration. Aquadopa is not intended to diagnose, treat, cure or prevent any disease.